The Program is based at The Alliance. This Fellowship is focused on the care of individuals and their loved ones suffering from eating disorders. Individuals suffering from eating disorders represent a complex and heterogeneous population, one which challenges clinicians at all levels of ability. 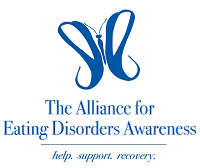 The Alliance provides an outpatient space for the treatment of adults, female and male, who present with various eating disorder behaviors, as well as other co-morbidity. Modalities of treatment offered at The Alliance include individual, couples, and family therapy, consultation, medication management, nutrition counseling, and a variety of group psychotherapies. The Alliance will offer a 13 month Postdoctoral Fellowship Program. Three slots are available for each calendar year. These 40+ hour per week positions enable Fellows to accrue up to 2000 license-eligible hours of supervised practice during the course of their training. The experience allows the Fellow to develop a comfort level working with this population. Fellows function as valued members of a clinical team. As such, the Fellow operates with a significant degree of autonomy and responsibility, while maintaining close contact with staff from The Alliance. To be eligible for the Postdoctoral Fellowship, applicants must have completed a doctoral program in clinical, educational or counseling psychology and a predoctoral internship with preference given to applicants from programs with APA accreditation. A doctorate from a developmental or school psychology program with predoctoral internship will be considered. A letter of interest and a complete application to The Alliance for Eating Disorders Postdoctoral Fellowship Program must be received by December15, 2017 to be considered in the first pool of applicants. Interviews will be scheduled subsequently. The application may be found at www.AllianceforEatingDisorders.com.